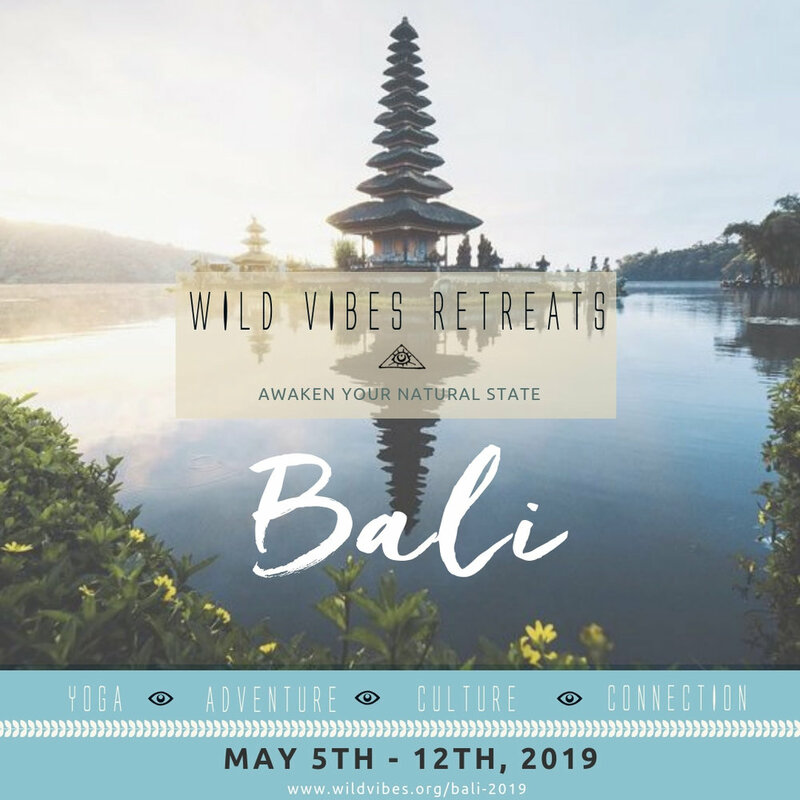 Join me on retreat for an 8 day immersion into holistic wellness, culture, and adventure to Bali, Indonesia, known as the island of the Gods, from May 5th - 12th, 2019.
change the pattern | become unstuck | go beyond the belief. Join Aj Govoni & Elisia Morgani in this interactive workshop on how to to identify your belief system, the thing that’s holding you back. You’ll learn the tools to change the pattern, become unstuck, and redefine what is possible for you. Whether you're looking to break a habit, or wanting to transform your health, your relationships, your career, or your view of your life - this is for you! This workshop is limited to 20 participants, registration in advance required. Please bring a notebook & snacks! Elisia Morgani is the founder of Vedana Wellness Health Coaching. After dealing with a whole host of her own health challenges, Elisia decided to become a health detective and get to the root cause of it all. She currently works one-on-one with clients to create a personal roadmap in navigating the ins and outs of their health battles. Through a functional nutrition approach, she takes on a supportive role in getting people on the path to optimal and sustained wellness. She also guides her clients in discovering their emotional patterning and self-sabotaging behaviors that tend to make us feel stuck. She believes with a bit of education, inspiration and empowerment, we all have the ability to heal our minds and bodies. Join certified fitness trainers, AJ Govoni & Lindsey James, for the SHIFT: fit series. This four week program combines high quality, effective fitness training with group accountability and support. ► 2X A WEEK GROUP FITNESS SESSIONS WITH YOUR TRAINERS: AJ GOVONI & LINDSEY JAMES. ► GROUP ACCOUNTABILITY PRIVATE FB GROUP! AJ and Steph are back at it! This Beats & Brews will be lead by the sweet sounds of the 70's...so gather up your peace & love, grab a friend or come solo, and join us for the grooviest Beats & Brews yet! As always, ticket price includes one drink next door at Earth Eagle Brewings after class! $25 for non members, $20 for members. Hiit the Flow™ created and led by AJ Govoni is an invigorating, high-intensity, music-fueled workout that will challenge you to move through intensity with intention. This class features a fun and effective hybrid of body resistance toning, cardio intervals, core conditioning, and feel-good flow! Get ready to strengthen, sweat, and release to your favorite, hip hop, and heavy beats. A six week holistic fitness program that will shift your body and your mind. Transformation requires a commitment to shift. And we're here to help! 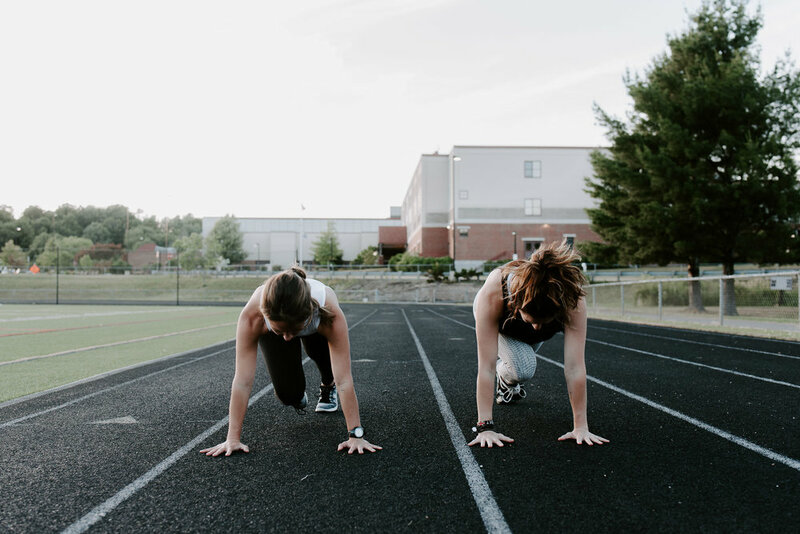 Led by certified fitness trainers, AJ Govoni & Lindsey James, Commit to Shift is a six week fitness challenge that will not only change your body and mind, but completely transform your approach to your health and fitness goals. This program combines high quality, effective fitness training with group accountability and support. You'll be challenged each week with different tools to keep you committed to creating your shift with the chance to win the ultimate prize pack. ► COMMUNITY, COMMITMENT, & FUN! ► OPPORTUNITY TO WIN THE GRAND PRIZE PACK! This program is open to all levels and everyone! Got questions? Shoot them our way! Join Fitness Trainer Aj Govoni and the janegee Team for a pop up moving workout around town! This community workout includes running intervals to our various workout spots with strength exercises around town! We'll finish back at janegee for a sunset stretch and cool off with refreshments. Spaces are limited, so please sign up in advance! Girl Be Fit combines effective, high quality exericise training, with a fun, supportive atmosphere. Created and led by Holistic Fitness Trainer & Yoga Teacher, AJ Govoni, Girl Be Fit provides the pillars to optimal health and success: movement, mindset, and community. Our mission is to empower women with the tools to improve their fitness, achieve their goals, and feel more confident in their body and mind. Sessions are circuit style workouts combining functional strength, HIIT, TRX, metabolic and core conditioning, yoga, and mobility. Members will have access to a private Facebook Group and receive emails with weekly training plans and workouts! Must sign up in advance. Sign up HERE. Join Fitness Trainer Aj Govoni and the janegee Team for a pop up moving workout around town! This community workout includes running intervals to our various workout spots with strength exercises around town! We'll finish back at janegee for a sunset stretch and cool off with refreshments. Everyone will receive a janegee goodie bag filled with our favorite post workout products! I'm excited to be teaching again at Wild Vibes Festival: a celebration of yoga, music, and art! Move, groove, and flow to the live beats of DJ QWILL! Wild Vibes festival is back for its FIFTH annual gathering. Enjoy a full day in nature with live music, inspiring yoga classes, workshops, art presentations, healing sanctuary, marketplace with local and international artisans and food vendors, kids corner, SUP yoga and paddleboarding, and so much more! A portion of festival proceeds benefit PURESA HUMANITARIAN FOUNDATION and YOGA & CANCER SATYA. Kids ages 12 & under free and NEW this year there's a KIDS CAMP CORNER! Drop your kiddos off at Wild Vibes camp so that you can experience all the festivities! First we HIIT, then we flow! After, let's drink! Join AJ + Lindsey for the ultimate Saturday morning sweat session hosted at Liars Bench. We'll start with 30 minutes of high intensity, power-packed circuit followed by a feel-good yoga flow and deep stretch. Limited space is available, must sign up in advance! Bring a mat, and get ready to sweat! Open to all levels. $18 includes a beer from Liars Bench. Girl Be Fit combines effective, challenging, and progressive workouts with a positive, fun, and social atmosphere. Led by Holistic Fitness Trainer & Yoga Teacher, AJ Govoni, Girl Be Fit is designed to not only help women tone up and feel great, but also to become educated on fitness and holistic wellness. Sessions combine strength, cardio, and a variety of training styles and methodologies, including HIIT, circuit training, TRX, Barre, and Yoga. Members will have access to a private Facebook Group and receive emails with a weekly training plan and workouts! Limited number of spots available. Please sign up in advance. 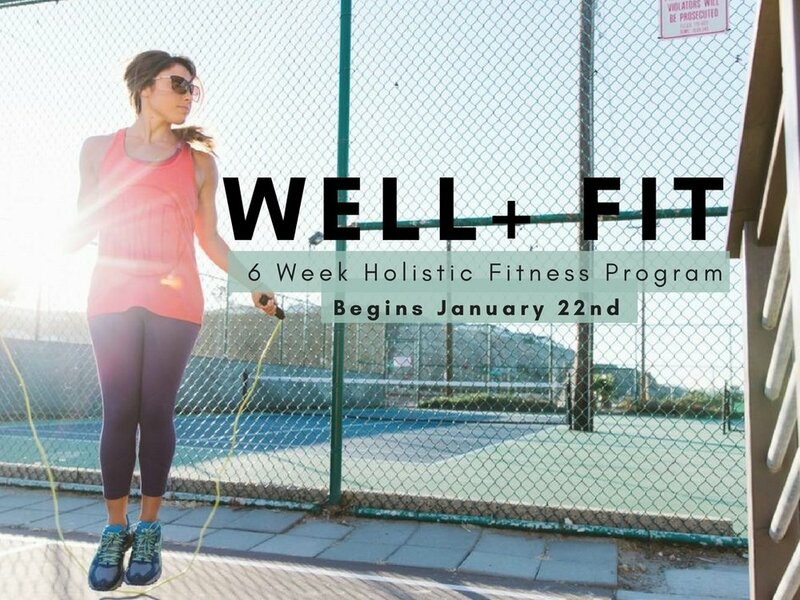 A 6-Week Holistic Fitness + Wellness Program for the body + mind. Designed to empower, educate, and encourage a healthy lifestyle. Total Body Strength, HIIT, Circuits + metabolic conditioning workouts. Challenging + effective, modified for all levels. First session includes a fitness assessment to track progress, with mobility training + yoga/stretch included in every session. Learn proper form, build strength, improve cardiovascular health, and work up a sweat in a fun atmosphere. + Access to private FB group for ongoing support, motivation, + inspo. + Yoga at 3BY- 1X a week! Join the Girl Be Fit crew for the last outdoor session of the season! Fall Fresh & Fit series begins September 5th and runs until September 28th. Anyone can take a class! Classes are open to all levels; modifications and advancements are always shown. If you are brand new to fitness, I suggest private training with me to get you started and comfortable! Depending on the severity of the weather, classes will be rescheduled to the make up dates listed above. Cancellations will be updated through Facebook. Please follow to keep up to date! To save time, please arrive with a signed waiver for your first class. Bring a pair of dumbbells and a mat (I suggest one that you don't mind getting dirty!). Dress appropriately for NH weather, mornings tend to be a bit cooler. Sneakers are a must, and I recommend sunglasses and sunscreen! This month, I'm teaming up with Jane Gee for a night of health, fitness and self-love. Join Jane & I for an evening discussion on how to create and cultivate habits and goals that fuel a holistic self-care practice- focusing on the areas of fitness, nutrition, stress-reduction, and improved energy + quality of sleep! I will be sharing my tools and tips I use for clients and myself on how to implement a sustainable exercise & movement program and meditation practice into your daily routine and Jane will be offering her wealth of wisdom on how to include essential oils into this daily self-care practice. LIMITED SPACES AVAILABLE, so please sign up in advance! $10 suggested donation to benefit Gather will be collected at the door. Gather is a local organization that serves those in our community experiencing hunger by providing nutritious food through innovative distribution programs and their Pantry Market. They offer nutrition education and recipes for healthy living. They collaborate with community partners to address the root causes of hunger throughout the Seacoast. Wild Vibes invites you to celebrate your natural state at our fourth annual festival! Enjoy an entire day in nature with live music and art presentations, inspiring yoga classes, workshops, and presenters, marketplace with local and international artisans and vendors, kids corner, SUP yoga and paddleboarding, and so much more! It's summertime... let the living be easy....come stretch, sip, and giveback to community with yoga at Liars Bench! Join me for a feel-good yoga flow to beats in the brewery. After, mingle with community and enjoy a tasty beverage from one of Portsmouth's coolest breweries in town: Liars Bench! This event is limited to 30 people. Class sells out fast, must RSVP on EVENTBRITE in advance. All levels welcome. Please bring your own mat and any yoga props you like. cash or check is payable at onsite, online payments can be made at eventbrite only. Stretch, sip, and give back to community for Bend and Brew at Liars Bench on Saturday March 11th at 11:00am. A portion of proceeds benefit Hope on Haven Hill. Join Yoga Teacher, AJ Govoni for a feel-good yoga flow with hip hop beats in the brewery. After, mingle with community and enjoy a beverage from one of Portsmouth's coolest breweries in town: Liars Bench! $15 includes the yoga class, beer flight, and charitable donation. Hope on Haven Hill is a recovery facility that supports with substance abuse disorders and their babies. FIRE is the element of transformation, personal power, and change. Through yoga and vision-board crafting, learn the tools of intention to tap into your inner courage, stoke the fire, and make your visions a reality. In this interactive class, we'll start with a 60 minute- all levels- dynamic, fun, and freeing yoga flow. This class is all about the fire element and the third chakra-- the place of courage, capability, and confidence. Then, learn exercises and tools on how to kick past fears, consciously create your desires, and bring your intention into action. We’ll end with a vision board crafting party! and closing guided meditation. Expect a morning of creativity, connection, community, and fun! LIMITED SPACES AVAILABLE. must sign up in advance! BRING: Your own yoga mat, a journal & pen, water, snacks (light snacks & refreshments will be provided), magazines/images. $28 if sign up before 2/27 ($40 after) includes yoga class, vision board workshop, & materials. 'Tis the season of giving PRESENCE. Come stretch, sip, be with, and give back to community for Bend and Brew at Liars Bench on Saturday, January 7th at 11:00am. Portion of proceeds benefit a local charity in need. Join Yoga Teacher, AJ Govoni for a funky feel-good, heart-centered all levels flow in the brewery! After, mingle with community, and enjoy beer tasting from one of Portsmouth's coolest breweries in town: Liars Bench! This event is limited to 30 people. Class sells out fast, must RSVP on EVENTBRITE in advance. All levels and ages are welcome (but must be 21 or over to drink). 'm heading back to one of my favorite places in Central America this November and you can come with me! I am so excited to be leading the first Wild Vibes Retreat in sunny Playa Maderas, Nicaragua! Join me for a week long tropical immersion into yoga, holistic fitness, surf, creativity, and community. Use my booking code: AJGORETREAT to receive 10% off! Cycle Instructor, Kelsea MacNicholl, and Yoga Teacher, AJ Govoni, have teamed up for a night of spin, stretch, and sweat. Join us at MISSION Portsmouth on Thursday September 15th at 6pm for BIKE & Bend. 30 minute ride to rhythm into a 45 minute yoga flow and deep stretching. Let heavy beats and candlelights carry you through your ride and guide you through your practice. Cool down afterwards and hang with commuity for complimentary drinks from Peak Organic Brewing Co. Cost: $10 (includes both cycle and Yoga class and post workout refreshment). ALL levels welcome. Limited to 20 spaces. Must RSVP in advance. First time riders please arrive 15 minutes early for bike set up (if you have a preference for a specific bike, please call MISSION in advance to reserve!). Bend & Brew at Liars Bench Beer Co.
Energize your body, calm the mind, and socialize with community at Liars Bench Beer Company on Saturday, Sept. 10th at 11:00am for Yoga in the Brewery. Start the day with a feel-good, heart and hip opening, all levels Vinyasa flow. We'll cool down with calming poses and a sweet savasana before enjoying friends and beer tasting from one of Portsmouth's coolest new breweries in town: Liars Bench! This event is limited to 30 people. Must RSVP in advance. All levels and ages are welcome (but must be 21 or over to drink). $10 includes the yoga class and beer flight sample. Girl Be Fit combines effective, challenging, and progressive workouts with a positive, fun, and social atmosphere. Led by Certified Yoga Teacher, Group Fitness Instructor, and Holistic Personal Trainer, AJ Govoni, Girl Be Fit is designed to not only help women tone up and lose weight, but also to become educated on fitness and holistic wellness. Limited number of spots available. MUST sign up in advance. I'm excited to team up with the Portsmouth Paddle Co. for SUP Yoga + group Paddle Board Sunset Tours! Join us for some summer fun on the water. Limited spots are available, so you must sign up online in advance! (www.portsmouthpaddleco.com >>book now >> group event >> AJ Go Fit). Please bring cash to pay on site. The third annual Wild VIbes Festival 2016 will be held at Rye Harbor State Park on July 17, 2016. Wild Vibes is a celebration of yoga, music, art, and community that gives back to three different charities: NH Kids Count, Puresa Humanitarian Foundation, and Yoga & Cancer SATYA. Enjoy a day by the sea with live music (headliners: HARSH ARMADILLO! ), inspiring workshops and yoga classes, surf, art exhibitions, paddle board yoga, marketplace, creative kids corner, chill out zone, and more. A festival by the community for the community, Wild Vibes promotes creative collaboration, encourages self expression, and manifests transformation that makes our world a better place. Ages 12 & under are FREE! Prepare to energize, sweat, and release to rhythm (reggae, hip-hop, all the good stuff). We'll begin with a Vinyasa fluid, emphasis on core strengthening, heat building, and a heart and hip opening continuous flow. We'll finish with cooling, calming poses, and a sweet savasana before kicking back with wine to end the night. A beat bumping playlist to carry you through. All levels welcome. This class is limited to 20 people. Must RSVP in advance.